The “Red Alert” incoming rocket siren was heard shortly before midnight on Monday night in the Shaar Hanegev and Sdot Negev Regional Councils of southern Israel. 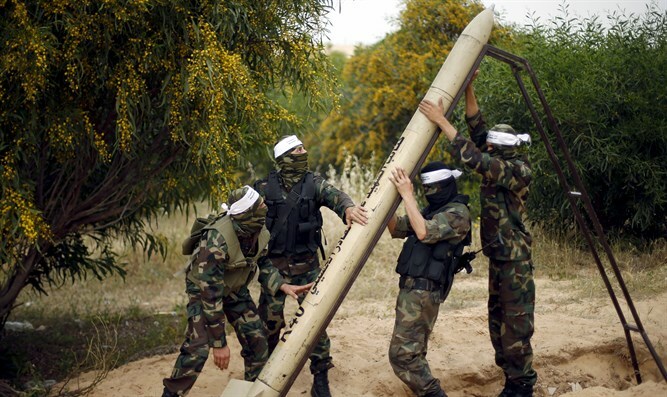 Initial reports said a rocket fired from Gaza exploded in an open area in southern Israel, but the IDF said that it thus far has been unable to determine whether any rockets had been fired towards Israeli territory. "So far, no findings have been located on the ground and no data has been found indicating an explosion. Our forces are continuing their searches and are looking into the data," the IDF Spokesperson's Unit said. No physical injuries or damages were reported. Security forces are searching the area. In one attack, Gaza terrorists fired three rockets towards southern Israel in the middle of an event marking the 24th birthday of kidnapped and murdered IDF soldier Oron Shaul, whose body has been held by Hamas since the 2014 Operation Protective Edge. The event was attended by Israeli Knesset members.